Like many of you, I watched the Oscars Sunday to see the outfits (just being honest) and to hear if any of my favorite movies or actors would win, but I was inspired to write this post on brands and how consistency in brand messaging is essential. After watching for a little while someone mentioned the Academy Awards and in the same sentence referred to it as the Oscars. Wait…what? They just confused me. This brings me to today’s blog post. Are you and your team confusing your potential customers and clients with acronyms and industry lingo? Lingo and acronyms that is the norm for you and your team can come across as a foreign language to others. Don’t get me wrong – using the lingo is acceptable and necessary, especially so your client realizes you know what you are doing, but you need to remember to keep the lingo consistent and also translate the meaning so your customer gets it too. Academy Awards and the Oscars are interchangeable names apparently, but for someone, like myself, outside of the industry I thought these were two different awards ceremonies and was therefore confused when people were using both names during the Oscars show. It seems like a simple thing, but there are many brands that forget this concept. You must use your brand name the same way every time. As an example, yes, Coca-Cola is just as well known as Coke, but the interchanging of these names did not happen immediately. It took many years before both names held equal recognition as the same product. And, let’s be honest, you are not Coke. Not many of us are and that is why it is important to be consistent when using and marketing your brand name. Going back to the Coke example, there are some instances of confusion with this brand name. However it is not always the fault of their marketing, but more because those of us that drink it in different regions of the US have altered the meaning slightly. I live in Texas. In Texas if you say “Coke” you could mean any carbonated beverage and not just Coca Cola. For many of us, the word Coke has become so common that it is the name we use for any product that is similar but not made by that company, much like the brand Kleenex. You will hear more people ask for a Kleenex than for a facial tissue. Make sure you are being clear as to what your brand means and the product it represents. If you are fortunate enough to have your brand go global you have another branding pitfall that you should be sure to avoid. You must pay attention to how your brand name or marketing slogan translates in each language that your brand has expanded. I was going to give you some examples here but most of them tend to have some pretty bad meanings in other languages and I want to keep this post PG. So, suffice it to say it is imperative that you have someone local that is very familiar with language, including common slang, before marketing your brand, product or service in any location that speaks a different language. Confusion with your brand messaging in your digital marketing strategy could have more consequences that include losing potential customers or offending another culture, neither of which are good. The best test is to ask others in your target audience and outside your industry how they perceive certain phrases and lingo before launching a branding campaign. Although the name confusion did not hinder my enjoyment, I probably would have eventually wondered when the Academy Awards would be taking place and perhaps even thought it was cancelled, which could have damaged the brand name somewhat. 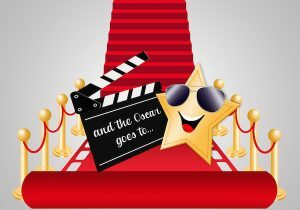 Did you watch the Oscars (aka the Academy Awards) and apply any lessons learned to your digital marketing? Here is what others learned.